Just 20 miles from the southern edge of the Smokies, the western North Carolina town of Sylva provides a strategic launch point for exploring one of the country’s most beloved natural wonders—the Great Smoky Mountains National Park. The national park, spread between North Carolina and Tennessee, is the most visited in the country, boasting 16 peaks above 6,000-feet and 850 miles of trails. 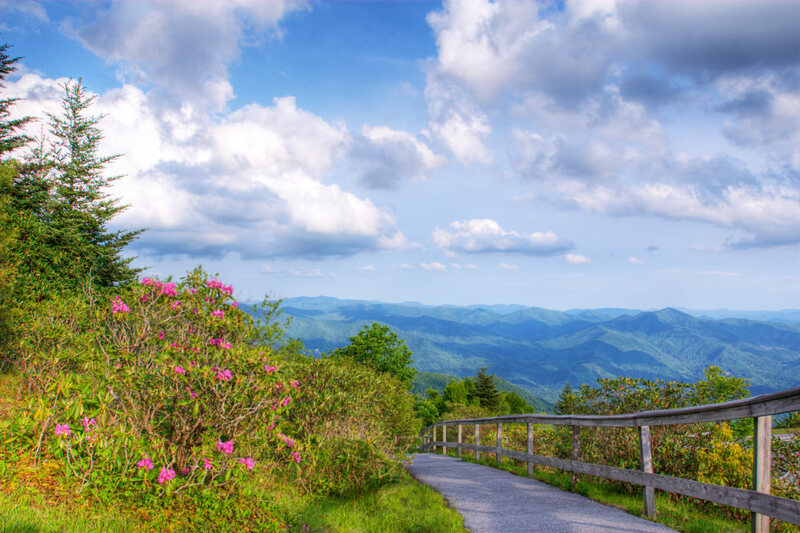 Even better, the park is best accessed from Sylva courtesy of a lofty stretch of the Blue Ridge Parkway, the iconic motorway linking the Smokies with Virginia’s Shenandoah National Park. 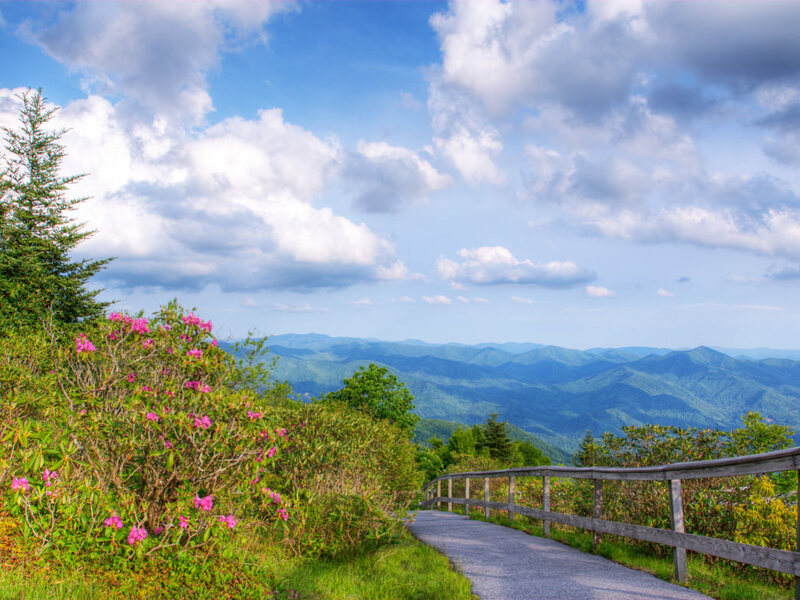 Stretch your legs and get an eyeful of the Smokies before even reaching the park with a stop at Waterrock Knob, the southernmost visitor center on the Blue Ridge Parkway (milepost 451.2). 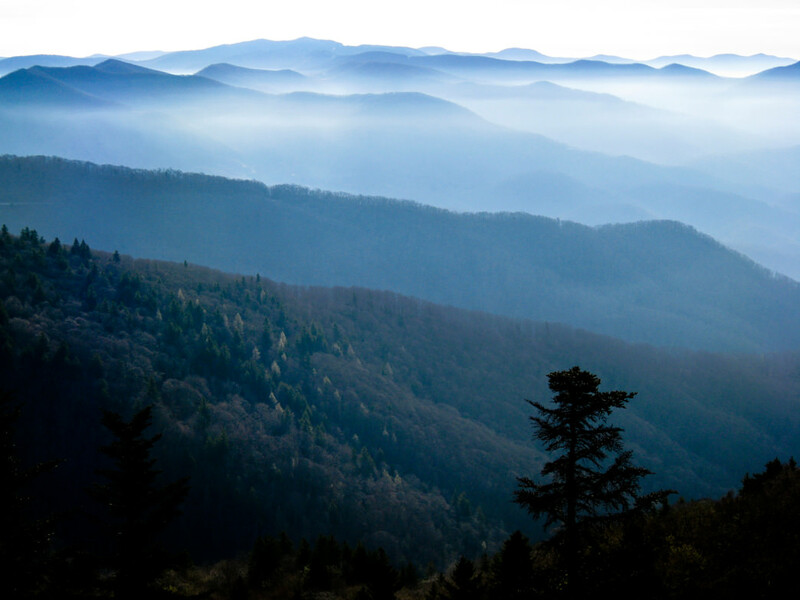 From the visitor center’s overlook—or the 6,292-foot summit of Waterrock Knob, accessible via a brief but steep 1.5-mile trail—the Smokies ripple into the distance, a seemingly endless sea of peaks, framing the historic city of Cherokee and the Qualla Boundary, a massive swath of land owned by the Eastern band of the Cherokee people. The Blue Ridge Parkway delivers visitors to the park’s southeastern entrance, in a valley along the Oconaluftee River. Aside from the stunning backdrop, the park’s Oconaluftee entrance is also deeply entranced with cultural history. 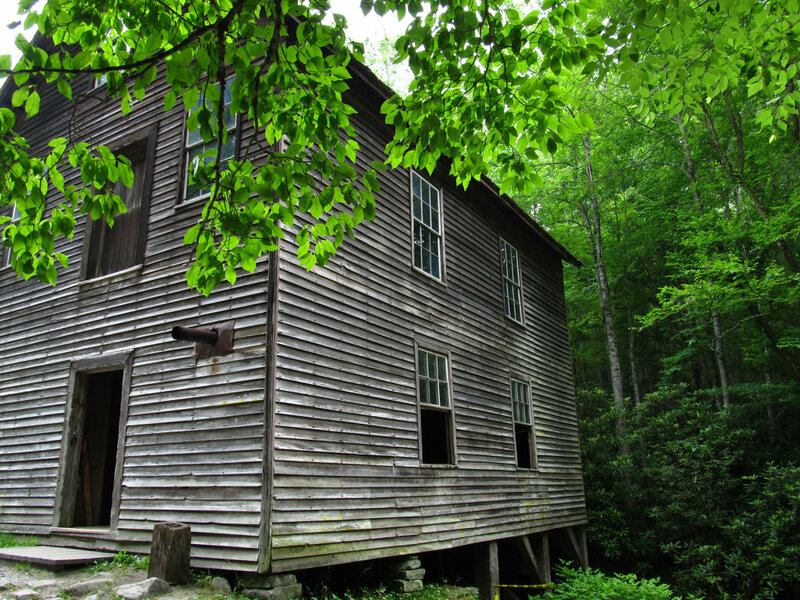 Just a short stroll from the Oconaluftee Visitor Center, the Mountain Farm Museum and nearby Mingus Mill immerse visitors into the existence of the region’s resourceful 19th century settlers with a collection of authentic artifacts and structures. Just outside the park, the early history and legacy of the area’s first inhabitants is explored at the Museum of the Cherokee Indian and the Oconaluftee Indian Village. The area surrounding the Oconaluftee Visitor Center is also a hub for some excellent animal viewing—most notably elk. Once abundant across Appalachian ecosystems, elk were extirpated from the region by the middle of the 19th century, as a result of enthusiastic over hunting. Elk were reintroduced in the Great Smoky Mountains National Park in 2001, and in the last decade and a half, the herd size is believed to have grown to more than 100 animals. Most frequently found lingering in the Cataloochee area of the park, grazing elk can also be encountered grazing the patchwork of fields flanking the Oconaluftee Visitor Center, especially at dusk and dawn. The Oconaluftee River is one of the park’s trout fishing strongholds, ideal for anglers in pursuit of brown or rainbow trout. In the southeastern corner of the park, the waterway is also paralleled by 1.5-mile Oconaluftee River Trail, which leads from the Oconaluftee Visitor Center to the edge of Cherokee (and is one of only two trails in the park where dog walking is permitted). 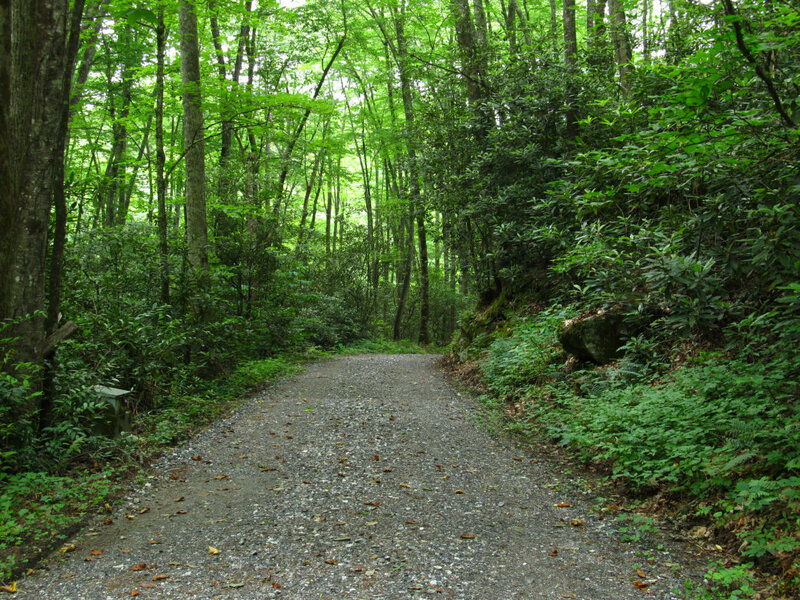 Beginning just a half mile from the Oconaluftee Visitor Center, at Mingus Mill, the Mingus Creek Trail is loaded with both history and scenery. The first stretch of the trail is nestled in a Depression-era road bed built by the Civilian Conservation Corps. You’ll travel through bunches of rhododendron, over gushing creeks, and even skirt a historic cemetery. For a longer day hike, the trail also provides access to 5,160-foot Newton Bald, a summit once cleared by early settlers that has since regenerated with new growth forest. For avid hikers—or peak seekers—Clingmans Dome is a must-visit destination. At 6,643-feet, Clingmans Dome is the highest point in the national park and the entire state of Tennessee. Even better, an elaborate observation platform cresting the summit offers panoramic views stretching for 100 miles. 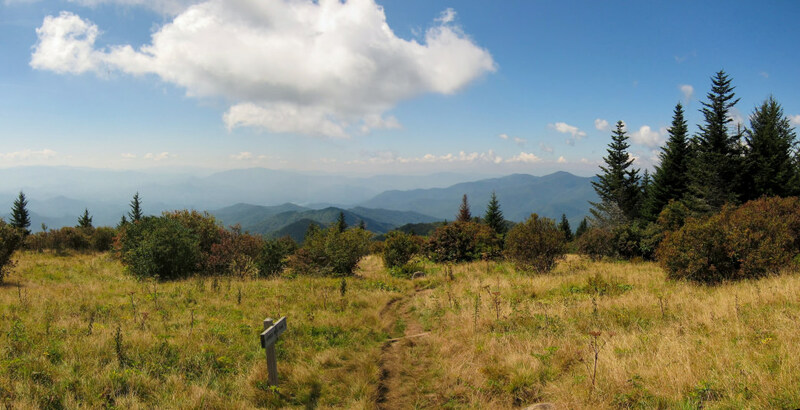 The viewpoint is accessible via a short half-mile climb from the Clingmans Dome parking area, or with a more extensive hike on the Appalachian Trail, which meanders directly past the summit’s viewing tower. In the shadow of Clingmans Dome lies another iconic Appalachian summit—Andrews Bald. The highest but also one of the most accessible balds in the park, Andrews Bald features a meadow-blanketed 5,906-foot summit that is accessible via a 1.8-mile hike on the Forney Ridge Trail, which begins at the Clingmans Dome parking area. Originally written for Jackson County Tourism Development Authority.